Not everyone drinks alcohol. I know many people who won’t touch the stuff, including because of personal preferences or health reasons (including allergies). Whatever the reason, there are now an increasing number of flavorful “mocktails,” as cocktails without alcohol have been cleverly named. 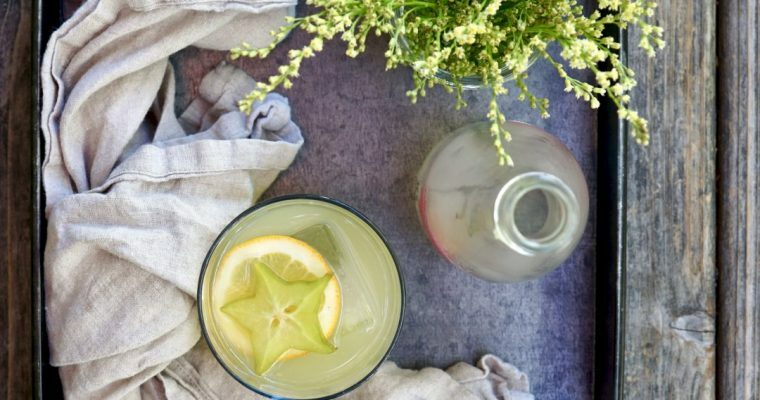 Mocktails are one of the hottest food trends from the past few years and I have my husband to thank for introducing me to them. 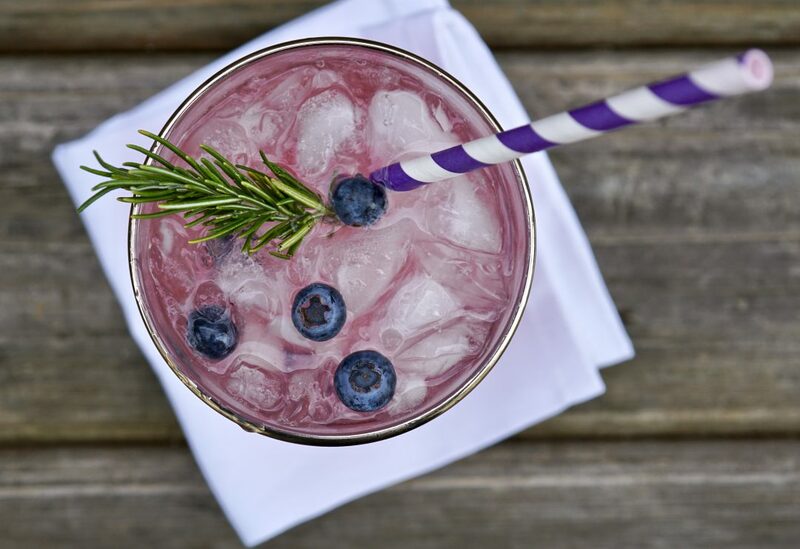 With enticing flavor combinations and beautiful hues that remind you of a summer sunsets, mocktails are quickly becoming a go-to for costumers over their boozy cocktail cousins. 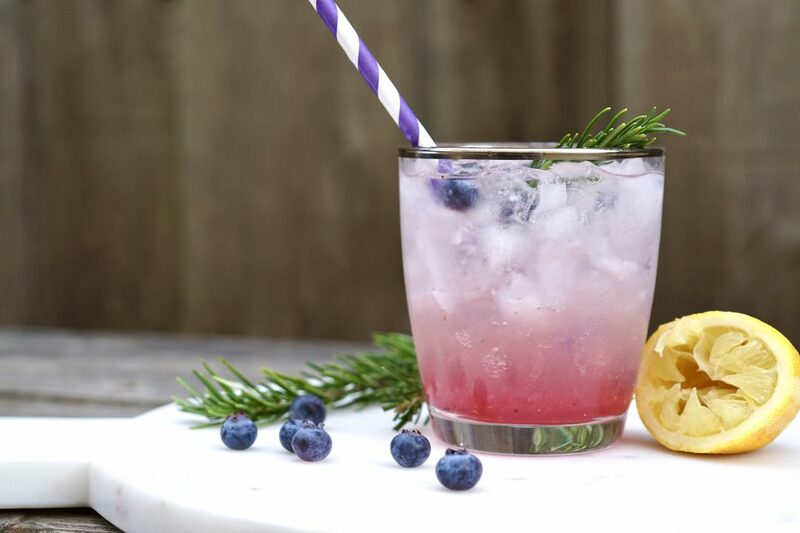 This recipe is Simmer + Sauce’s first mocktail recipe and this blueberry-rosemary lemon one is a winner. 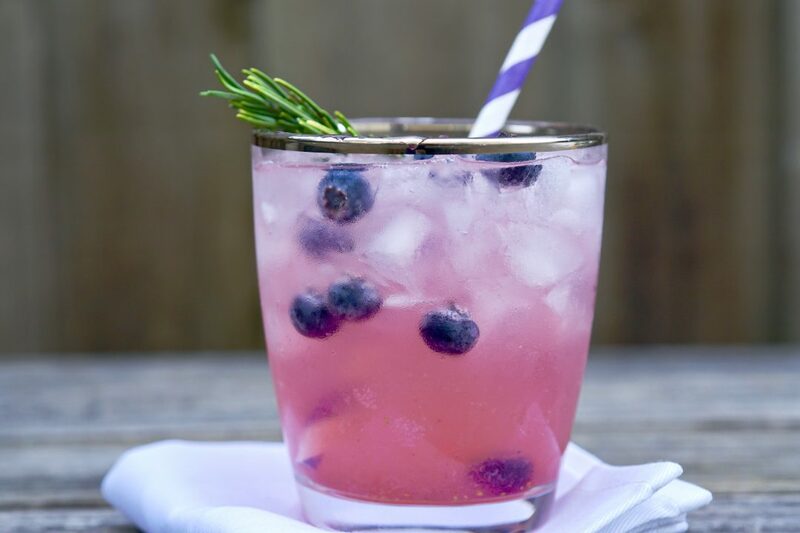 Loaded with blueberries and fresh lemon juice with just a touch of fresh rosemary, this effervescent mocktail is light and refreshing. Not a rosemary fan? Trust me, try it anyway. The flavor is mild and complements the blueberry exceptionally well. The true beauty of mocktails to me is they offer an easy, tasty, make-ahead option for dinner parties and family gatherings. A kid-friendly alternative to water, they can be low sugar as well. So if you are a mocktail lover already or are trying one for the very first time, I want your feedback. Drop a comment and let me know what are some of your favorite flavor combinations and what kind of mocktails you want to see on my blog. Cheers. Step 1 Using a cocktail shaker, add the blueberries, rosemary leaves and agave. Muddle for 30 seconds. Step 2 Add the lemon juice and stir. 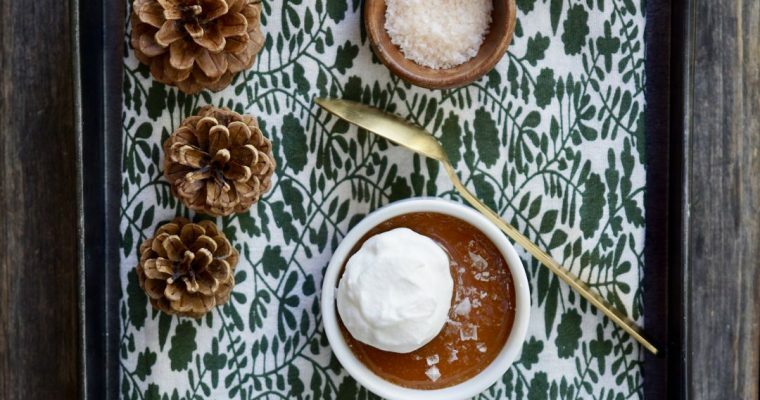 Strain the syrup into a preferred drinking glass. Step 3 Add a good amount of crushed ice. Add the mineral water and give it a little stir. Step 4 Add fresh blueberries for garnish and a rosemary sprig if desired.